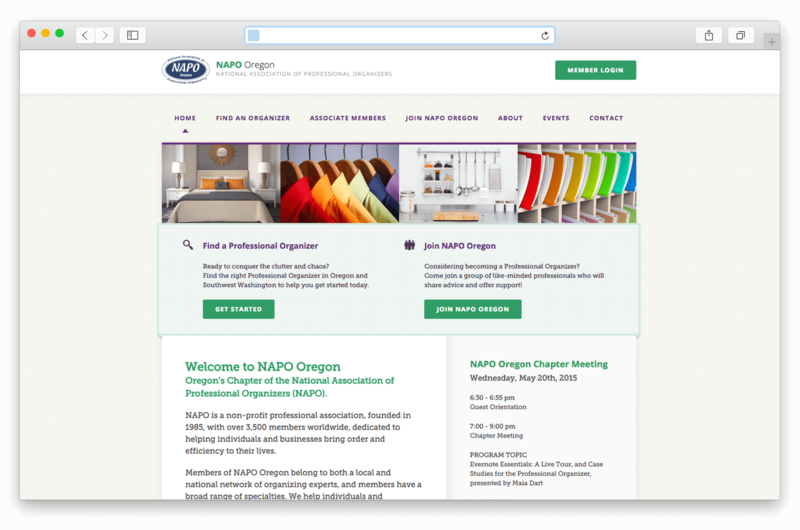 Another client referred me to Oregon’s chapter of the National Association of Professional Organizers after the sudden departure of their previous developer. The site had just been involved in a worldwide WordPress attack and needed emergency help to get back online. After successfully navigating the immediate danger, we addressed a large backlist of feature requests of varying degrees of complexity before normalizing into a regular maintenance plan.